Aspen prepared a multi-part study of California’s coastal power plants to be used as a resource by Energy Commission staff in evaluating future applications to expand or modernize these plants. The study included an Issues Report that examined the environmental and permitting issues associated with coastal power plants, including a description of issues that substantially delayed or otherwise complicated recent applications for expansion or modernization of coastal power plants. The study also included a detailed inventory of information on each of the existing power plants on the California coast, including information on plant facilities, engineering and design, operations, and environmental conditions. 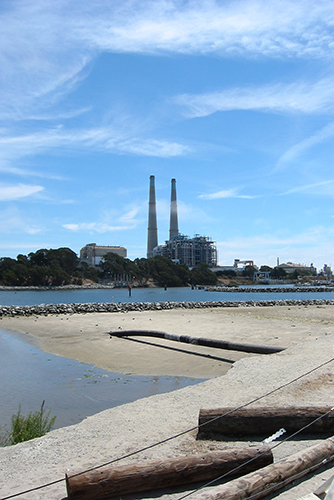 The study included identification and evaluation of potential issues associated with the possible modernization, re-tooling, or expansion of California’s 25 coastal power plants including: northern California power plants such as Humboldt, Potrero, Hunter’s Point, Pittsburg, and Oakland; central coast power plants such as Contra Costa, Diablo Canyon Nuclear, Morro Bay, Moss Landing, Elwood, Mandalay, and Ormond Power Plants; and southern California power plants such as the Alamitos, Long Beach, Los Angeles Harbor, Haynes, Redondo Beach, Scattergood, El Segundo, Huntington Beach, Encina, Silver Gate, South Bay, and San Onofre Nuclear. The study included identification of potential political, social, community, and physical land use impacts that may arise from the potential increased output of energy from plants in highly sensitive coastal communities. The intent of the study was to highlight potential issues for the Energy Commission in order to streamline future licensing processes. The study also included a thorough review of applicable Local Coastal Plans, and Coastal Commission regulations associated with Coastal Development Permits and Consistency Determinations.